As promised from my recent Hong Kong Beauty Haul post, this blog post features a full review on the new Maybelline Baby Lips Candy Wow collection. My most colourful post yet! 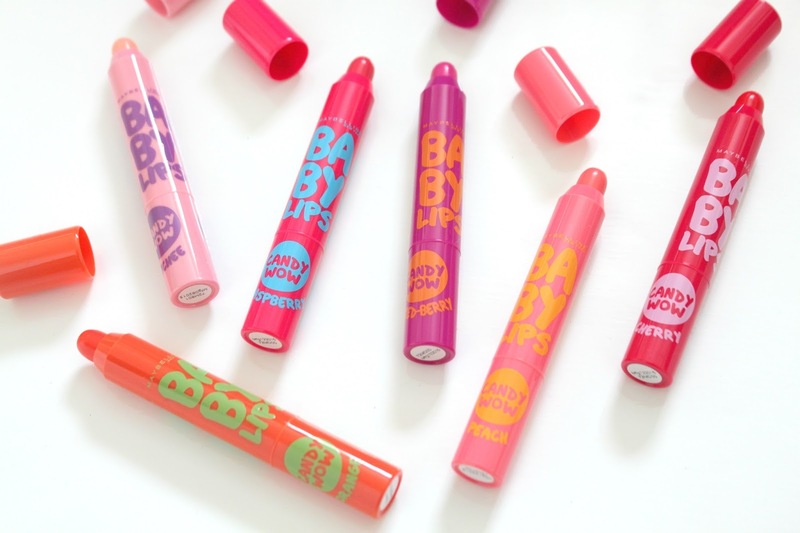 Part of Maybelline's East Asian line, Maybelline created a new version of their much-loved Baby Lips Balm to come in candy-inspired colours and a chubby crayon-like design. Every time I step foot onto another country (especially in East Asia or the US), I go beauty crazy and end up spending most of my holiday money on makeup and skincare. That's what happened when I went back to Hong Kong earlier this year. Amongst many other beauty products, I was so excited to bring back the Maybelline Baby Lips Candy Wow balms. So much so, I ended up searching for all the colours in the range around Hong Kong just so I can own the entire collection. 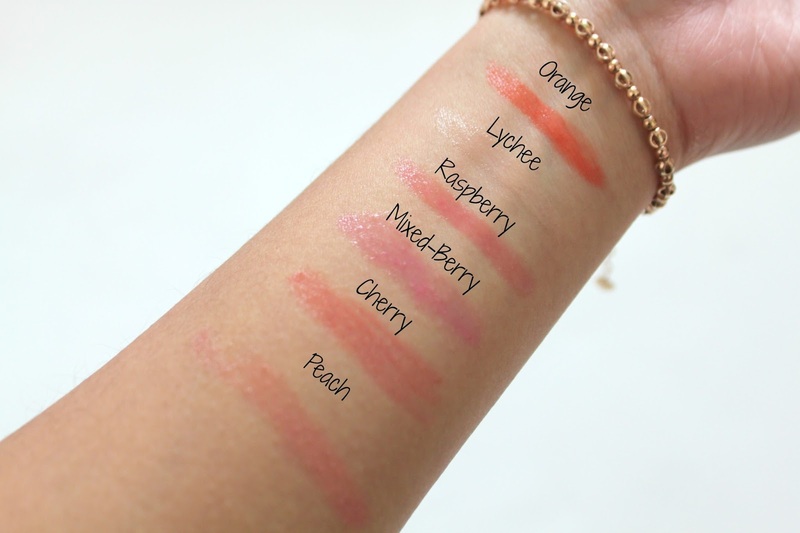 There are six colours in the range - Orange, Lychee, Raspberry, Mixed-Berry, Peach & Cherry. Here is a picture of me with no colour on my lips, so you can get an idea of the coverage from the product. I love love love the packaging. I really like how bright and colourful the balms are because they make my vanity table look good by giving it a splash of colour. I also love how it comes in a retractable crayon design. However, I wish that there's a functionality to reatract the balm to the very bottom because the tip of the product can easily be clipped or sliced off by the cap when you're in a hurry and not careful. Each stick was priced at 45HKD, which works out to be around £4. For a balm it does seem a bit overpriced but as the original Baby Lips Balms are priced around £3, one more pound doesn't seem that bad for the new version of their popular product. 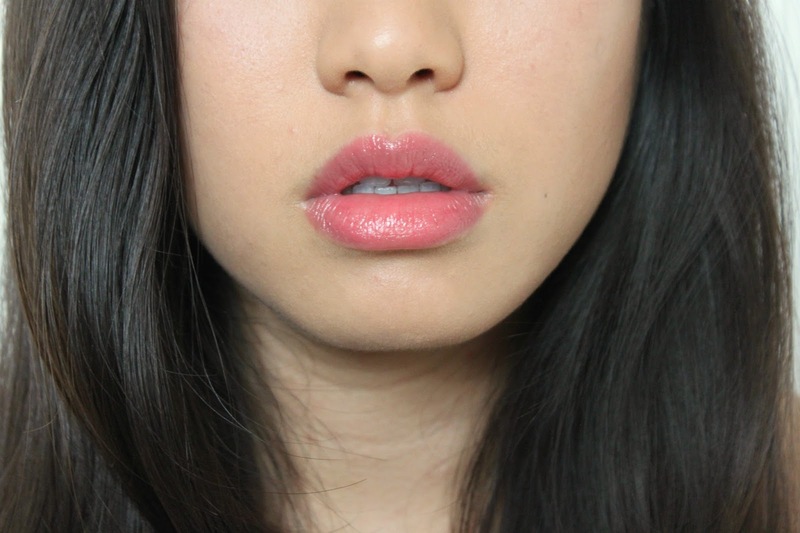 The application is actually really good because it glides onto your lips really smoothly and evenly. However, as much as I love it's chubby design, the tip of the product is quite thick. Making it a little harder to precisely apply on the cupids bow and lip corners. It is definitely a lot more easier to apply than the original Baby Lips Balm though! I'm a sucker for anything that smells fruity and these balms literally smell exactly what they're called. I love it! Ever since coloured balms entered the market, one thing that I have came to terms with is that the colour of the product does not look as vibrant on the lips as it does on the stick. This is one of the main things people need to realise when purchasing coloured lip balms. As the Baby Lips Candy Wow range boasts its candy-inspired colours, some of the 'brighter' colours like Mixed-Berry and Raspberry doesn't look too disimilar from each other when worn. However, the colour which surprised me the most was in fact Lychee. 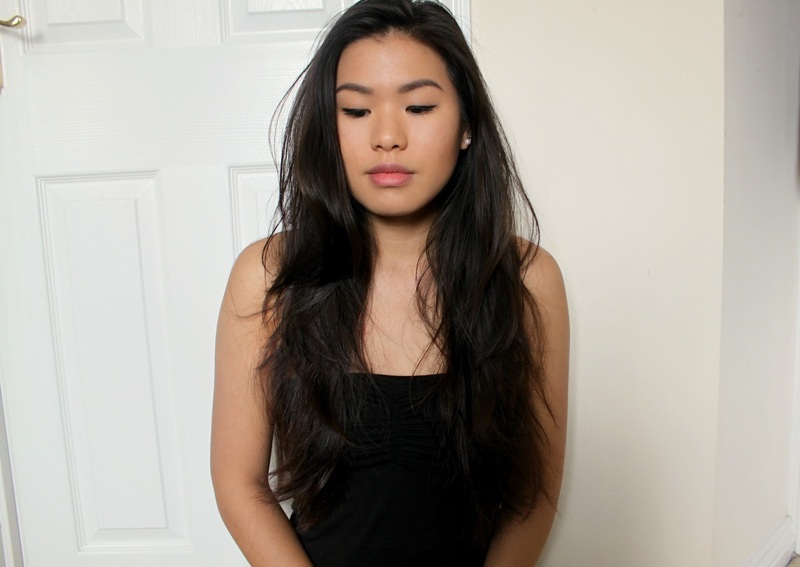 I was surprised with how well it showed on my lips despite being a lighter and paler colour. Overall, I do love all the colours and they do show up a lot more on my lips than other coloured lip balms I've tried. For a lip balm, Baby Lips Candy Wow is actually quite long lasting. It can last around 2 hours even if you rub your lips together between that time because the product is so smooth and hydrating. However, the durablity can go from 2 hours to 20 minutes if you eat and drink. If you're not a messy eater then I'm sure the balms will last longer on your lips but if you're like me, you'd have to constantly reapply after every time you put something in your mouth. One other thing I want to touch up on, is that you have to make sure that your lips are crack and flake free. Yes, the balms are impressively moisturising and you may think that it'll conceal and cure the dryness of your lips. However, if your lips are really dry to begin with, you'll find that the colour/product will move and gather around the dry parts of your lips - emphasising the dryness. So make sure that you don't treat Baby Lips Candy Wow as a treatment product. Treat it more like makeup with hydrating properties and exfoliate before application. Overall, I am really impressed with the Maybelline Baby Lips Candy Wow range. For a lip balm, this range actually performs really well and looks great too! In terms of comparing it with the original Baby Lips balm, I honestly do not see much of a difference between the two. Performance-wise, they are both the same. Same hydrating qualities and same durability. The only difference I would say (that you're paying the extra £1 for) is the new crayon design for improved application and more vibrant colours. I only wear lip balms at work and the Maybelline Baby Lips Candy Wow range has already done a great job with adding a pop of colour to my look whilst keeping my lips moisturised. I'm so glad that I've brought home the entire collection! 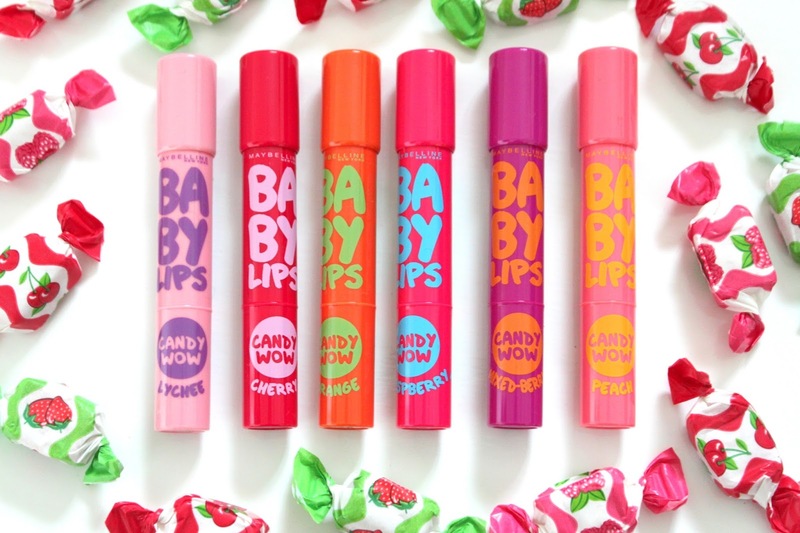 Have you guys tried Maybelline Baby Lips Candy Wow yet? I love these! Great post girlie.